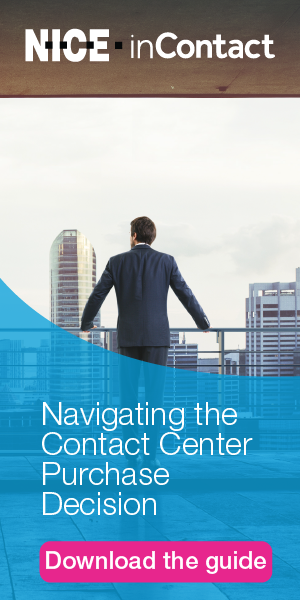 Contact centers have many performance management tools, and more on their “wish lists.” Whether you call the spectrum of tools Workforce Optimization or the snazzier Workforce Engagement Management, the challenge is to use them effectively! Too often, the dominant “tool” is Excel, and that is not cutting it for quality monitoring feedback, performance scorecards, weekly reports or anything else the typical center needs to manage resources effectively. When individuals export and manipulate data to produce (pretty) reports, the recipients may not understand, embrace, or accept the findings. Moreover, without well-defined processes for what to do with the information, the impact falls short of potential. The gap is closed by analysis, driving insight into the “why” behind the results. It tells senior leadership whether the center is meeting goals, trending up or down on key metrics, or just experiencing something that looks like an anomaly! Centers that use performance management tools are more likely to drive meaningful, actionable results. The tools don’t just deliver reports, they drive processes and actions. They provide a means to track and hold people accountable—e.g., coaching sessions happened, goals were met (or not met), the rewards were delivered, or the additional coaching and training pursued. And they show how action translates into favorable indicators and trends that move in the right direction. With artificial intelligence now a big part of the messaging from WFO vendors, the tools bring all kinds of additional capabilities that Excel (and the user manually performing tasks based on it) can’t deliver. For example, AI can help optimize schedules, analyze speech or text to identify call types, perform QM, or define other actions to take. And if you have a suite—or integration between performance tools—you gain even more as you trigger processes that rely on other elements. Here’s an action-oriented example: Coaching or training can be scheduled at the right time, and performance data can target the right learning modules to deliver. The table shows you the differences between the “DIY” approach with Excel and the potential with more robust tools, and Figure 1 shows the difference in the process. Use these graphics to help you make the case for change for a suite of tools, or the targeted tools you need and want, like QM, analytics, or scorecards and dashboards. TABLE: If you want to Excel, you need to rely on more than Excel! Don’t feel like the pursuit of better WFO has to be long-term, waiting for the next budget cycle. You can start doing some things now! Review what you have as a first step and think about how you can get more out of it. Many centers really need to relaunch and retrain and establish new end-to-end processes as they do. Don’t let anyone defend their one-off Excel way of life! Move from manual tasks to automation as you leverage the tool. Beyond using what you have, you should also identify any gaps to fill as your next step. Figure 2 shows you the elements to consider. Remember they are more valuable and help facilitate and close the loop on your processes when they are integrated or part of a suite, so consider that in your planning.